In cooperation with National Institute of Financial Management (NIFM), ICPE organised a one week international training program (2-6 October 2017) for ICoAS officers of the Government of India. NIFM, located in Faridabad (India) is an autonomous institute of the Ministry of Finance, Government of India. 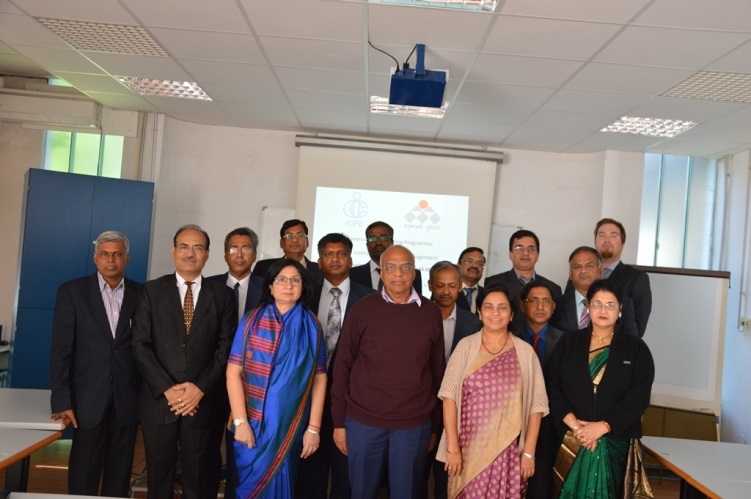 The program was attended by 15 senior officers of Government of India and led by Mrs Aruna Sethi, Chief Advisor (Cost), who is in the rank of Secretary to Government of India, and the Course Director from NIFM, Professor Ila Singh. The participants were exposed to best practices related to Public Sector Governance, monetary policy of the Eurozone, EU Economy, anti-money laundering and prevention of corruption, cyber security, innovation, entrepreneurship and data envelopment analysis.